gah. i love those earrings and her shirt! Look at those toes! Too cute! have i told you how much i love your mama/baby style posts? well, i do! sooo much! aww....i love that cherry top! ha! i have a shirt i made out of a pillowcase that looks almost exactly like rowans! too funny! You're my new hair inspiration. I want pigtails! You two are so adorable! Awe! 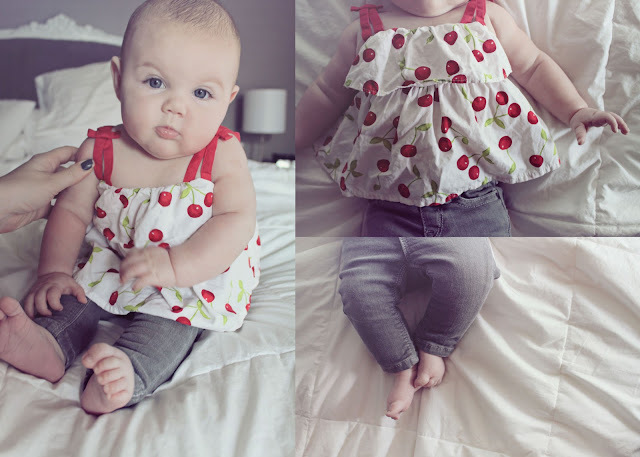 She looks so adorable in her little cherry shirt and skinny jeans. You look adorable as well! =) xo. I am super giddy that Forever 21 is FINALLY opening a store here..for years it has been a once year place I can shop when we go down to the states..but not anymore..yeah! And those baby skinny jeans are still the cutest things I've ever seen! Hey there...just found your blog & wanted to say hi. Your baby girl is gorgeous!! 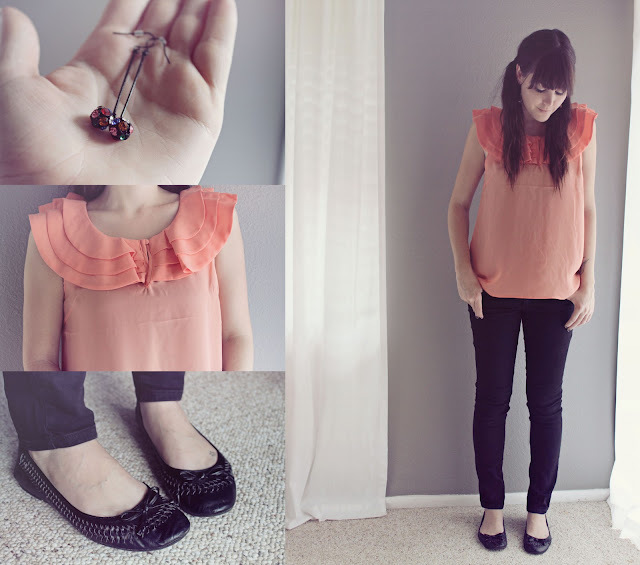 So A) I love your blog and style! B) your baby is adorable! C) I love your header- I'm obsessed with peacock feathers/used them in my wedding. I've just spent a while looking through some of your posts and I will definitely be back. =) I love finding new favorite blogs! 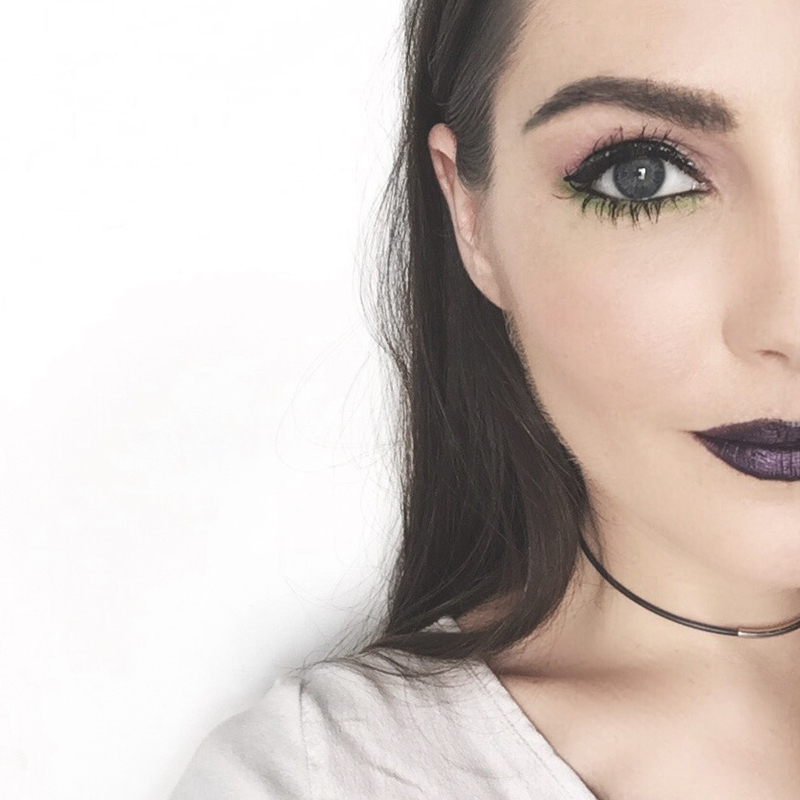 PS: your makeup tutorial video rocks- I'm on a mission for that crazy wanded mascara now! Ha. I am in love with your blog!!! I love your style...and well everything about this little place on the web!